Single mothers, those with less education and mothers enrolled in the Special Supplemental Nutrition Program for Women, Infants and Children—better known as the WIC Program—may receive less information and support with breastfeeding, a new study found. More than 440 new mothers responded to an online survey about their breastfeeding practices, breast pump use and infant feeding methods at six weeks postpartum. All of the women were participants in the Synergistic Theory and Research on Obesity and Nutrition Group 2, better known as STRONG Kids 2, an ongoing child-obesity prevention program administered by the U. of I. 's Family Resiliency Center. 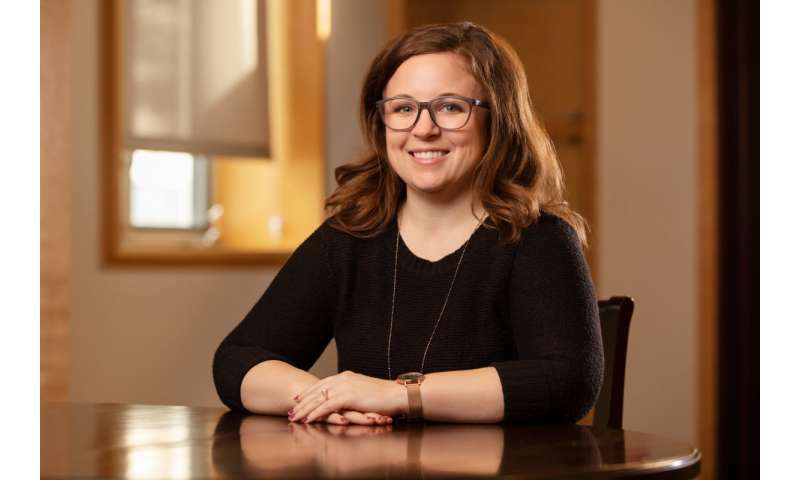 "The STRONG Kids 2 program collects a lot of data around breastfeeding and different feeding practices that mothers are using, especially during their infants' first year of life," Sutter said. "Within that initiative, I was interested in finding out where mothers get their information and support for engaging in the often-challenging task of breastfeeding, and how we can bolster those resources or eliminate some of the barriers that mothers face." Despite the many documented benefits of breastfeeding, such as breastfed infants receiving antibodies that resist bacteria and viruses and reduced risks of asthma and allergies, only about half of U.S. mothers breastfeed their infants through their first six months of life, according to the Centers for Disease Control and Prevention's Breastfeeding Report Card. Barriers that discourage mothers from breastfeeding or expressing breast milk to feed their infants include physical complications such as insufficient milk supply, and structural barriers such as mothers' need to return to work. "Despite receiving information and support at higher rates, being a first-time parent was associated with decreased odds of breastfeeding, as was WIC participation," Sutter said. "It's unclear whether the information and support is completely absent or if it's not resonating with them in a meaningful way that supports breastfeeding practices due to ineffective delivery methods or to some mothers' heightened stress levels." More than 95 percent of breastfeeding mothers and 78 percent of the mothers who used breast pumps reported that they received information and support from professional sources. However, Sutter found that mothers' sources of information and support were linked with demographic differences. To be effective, educational and informational materials about infant feeding practices must be culturally sensitive and be sensitive to women's differing lifestyles, Sutter said. For example, mothers who must return to work shortly after giving birth may find information on using breast pumps more useful to them than information on breastfeeding alone.